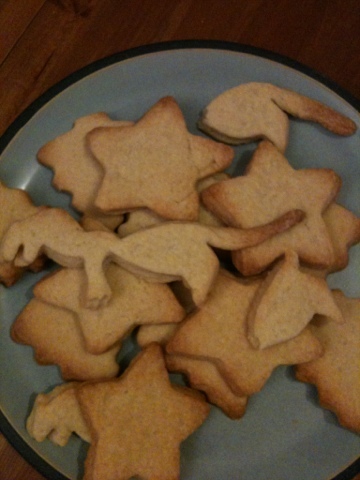 I love these biscuits they are super easy, tasty and my son loves to help make them! 1. Preheat the oven to 180c. Lightly grease a large baking sheet (or if you'd prefer you can line a tray with baking parchment). 2. Sieve the flour into a large bowl, add the butter and rub in with your fingertips until the mixture resembles breadcrumbs (if you want to save time you can blitz together in a food processor). 3. Stir in the caster sugar and vanilla essence and then add a tablespoon of milk at a time and mix together until it forms a firm dough (if you need a little more milk just add a bit at a time or if you add too much add a little more flour). 4. 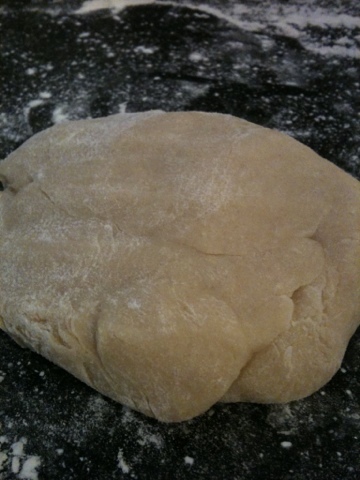 Roll out the dough on a lightly floured work surface to a thickness of 2.5cm/1inch. Stamp out with your desired shape, this would be perfect for valentines day if you had a heart shape but we used a new dinosaur cookie cutter we got for Christmas and stars. 5. 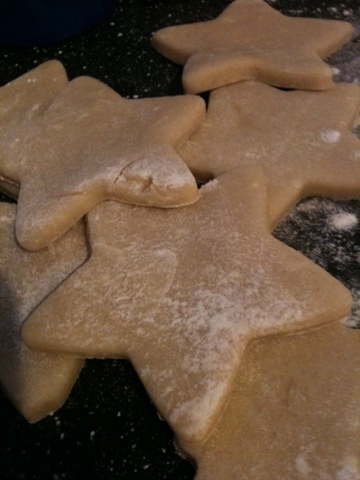 Arrange the shapes onto the prepared baking tray. 6. Put in the oven and bake for about 15-20 minutes or until they are a light golden brown. Once cooked transfer to a cooling rack and leave to cool. 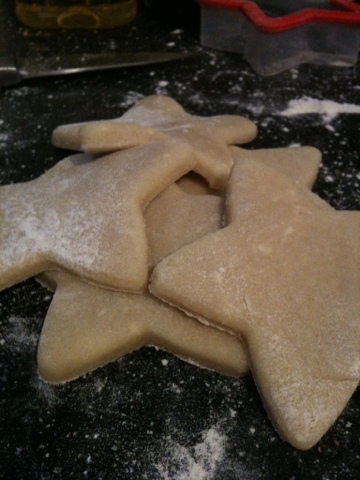 Add decoration or just simply sprinkle with sugar before serving. Perfect with a cuppa on a cold afternoon!